We encourage families nowadays to have a health restoration and maintenance doctor as part of their health team. A general family doctor and pediatrician is an expert not so much in health and wellness, but an expert in sickness and disease, in crisis and emergency intervention. Thank G-d they are because with children and adults, there are going to be times we need that – broken bones, severe illnesses and such things need to be dealt with in a responsible and experienced manner. Wouldn’t it be better, though, if you could minimize the need for crisis intervention? By having two doctors on your team, one who focuses on health and wellness, prevention and maintenance, and another who focuses on sickness, disease and crisis intervention, it’s possible. And, more often than not, the better the Health Doctor does his or her job, the less you need to rely on medication and surgery, especially when it’s coupled with a healthy lifestyle. We find that families who rely on us as their health and wellness doctors certainly have a lesser reliance on the other type of doctors because they have a lot less sickness, a lot less illness and a lot more health. 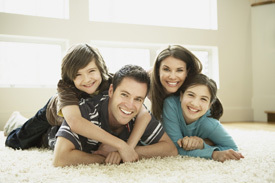 Contact our North York office and bring your family in for an adjustment today!